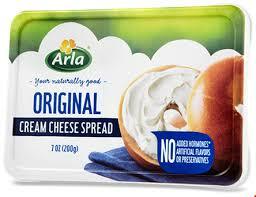 Login or register with Kroger and add the eCoupon for a FREE Arla Cream Cheese! This eCoupon is valid for any variety of Arla Cream Cheese and expires 03/31/18. Don’t see it right away? Search categories –> Dairy to find it quickly. 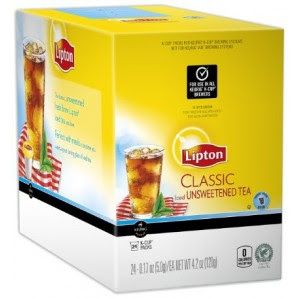 Enter to Win 4 Boxes of Lipton Classic Tea K-Cups! Take a minute to enter to win FOUR boxes of Lipton Classic Tea Keurig K-Cups from Cross Country Cafe! This giveaway runs through 6/30/17. The random winner will be notified via email within 48 hours of the giveaway end date. PLUS today (for a limited time only) you can save 10% off All Keurig Brewers during their Fathers Day Keurig brewer sale! too! Just use coupon code KEURIG4DAD during checkout. Enter to Win 4 Boxes of Green Mountain K-Cups! 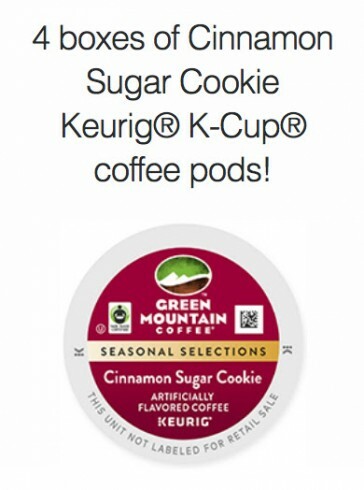 Reminder: you’ve still got time to take a minute to enter to win FOUR boxes of Green Mountain Cinnamon Sugar Cookie Keurig K-Cups from Cross Country Cafe! This giveaway runs through 1/31/17. The random winner will be notified via email within 48 hours of the giveaway end date. 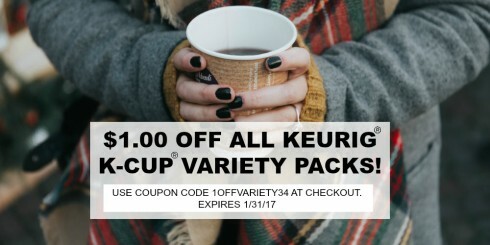 PLUS today (through 1/31 only) you can save an extra $1 on your Keurig K-Variety Packs too! 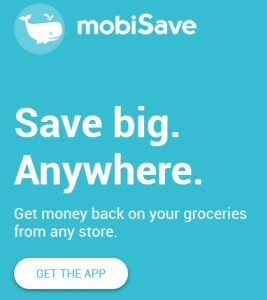 Just use coupon code 1OFFVARIETY34 during checkout. 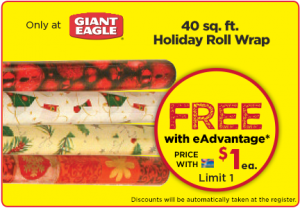 Log in to your Giant Eagle eAdvantage club account and load this new eCoupon for a FREE 40 ft. Holiday Wrapping Paper Roll to your account! This coupon expires 12/7/16.